ST. LOUIS — St. Louis is back in the hunt for a Major League Soccer expansion franchise after the family behind the rental car company Enterprise Holdings announced a bid that calls for a new stadium built mostly with private funding. A 20,000-seat stadium would be expected to cost around $250 million. Plans call for the city’s Land Clearance for Redevelopment Authority to own the stadium and lease it to the MLS team. 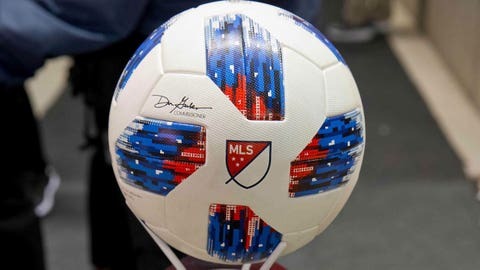 MLS spokesman Dan Courtemanche said in a statement that the league is impressed by the ownership group’s commitment and looks forward to learning more about their proposal. Jack Taylor launched Enterprise with a fleet of seven cars in 1957. Enterprise Holdings today is listed by Forbes as one of America‘s largest private companies. It operates Enterprise Rent-A-Car as well as National and Alamo car rental companies. Jack Taylor died in 2016. Enterprise also has naming rights to the arena for the NHL’s St. Louis Blues, and the Taylor family and Enterprise have donated hundreds of millions of dollars over the years to cultural and charitable institutions in St. Louis.